Delight your employees with a self-service, web-based employee portal that includes on-line paystubs, W2s, vacation balances, and hospital news and links. Allowing your employees to get the information they need, when they need it, not only makes them happier but also saves time and money. 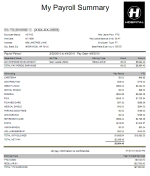 Printing paystubs and W2s, or having to download files each pay period is tedious, time consuming, and costs money. 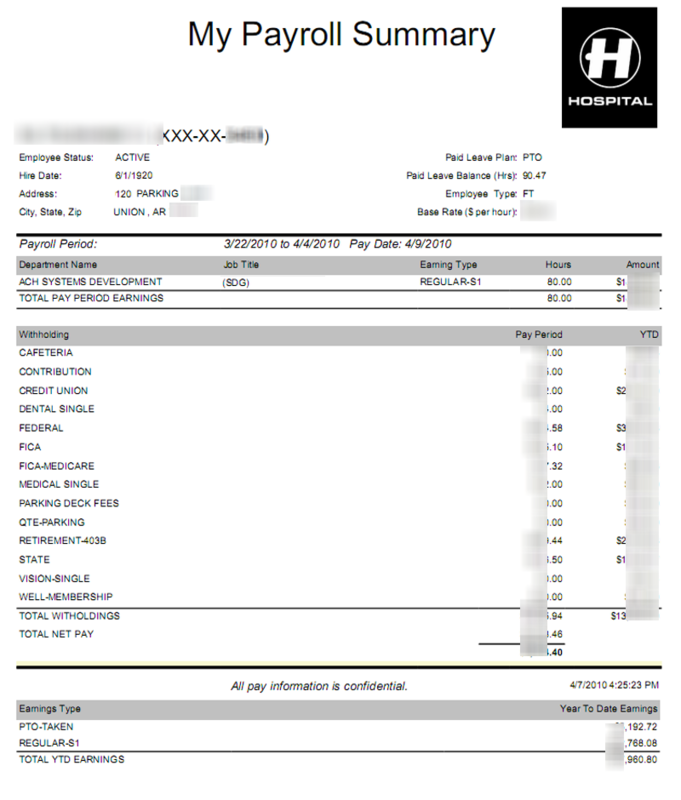 Our Employee Portal lets staff view and print their paystubs and W2s any time and anywhere they have an internet connection, without payroll or IT staff having to do additional work. Any employee with an active network account can login and view key parts of his or her personnel file, vacation balance, hospital news, and important links, as well as paystubs and W2s. 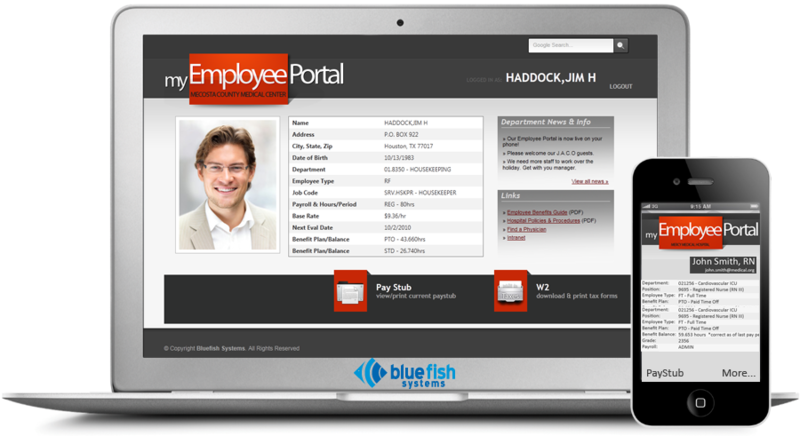 Provide employees with secure access to their own, personalized employee portal from any PC or smartphone. Employees can view and print a PDF version of their paystubs from the last 12 months. The paystub includes the hospital's logo and is much easier to read than traditional paystubs. Employees can view and print a PDF version of W2 forms from past years. These data come from the compiled W2 data within Meditech. Employees can also view key parts of their personnel files, such as job code, job title, hire date, and other information. Employees can view their current vacation balances as recorded in Meditech. Each hospital may define portal administrators who can enter news items and document links that will be visible to employees for the time period specified. Hospitals can choose to allow access to the site from the internet and the employee portal supports SSL secure encryption. Do we need the Data Repository to make this work? No, the employee portal will work without the Data Repository, but if you already have it, the solution makes use of data stored in the Meditech data repository. Do we need a web server to run this system? Yes, you need a web server running Microsoft Internet Information Server (IIS) version 6 or 7. Do we need a SQL server to run this system? Yes, the system needs an existing Microsoft SQL server to store its data.